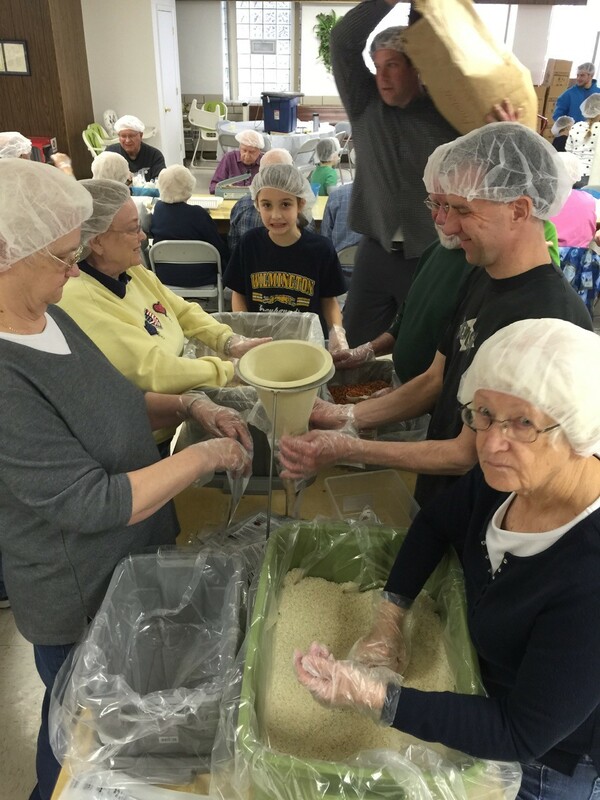 Folks gathered in the basement of the Calvin church last month and, with some help from the staff of Stop Hunger Now, over 50 persons of all ages formed an assembly line that would have made Henry Ford himself proud. Rice, seasonings, and vitamins were merged in proportional amounts. This concoction was placed in plastic bags, then weighed, adjusted, and sealed. 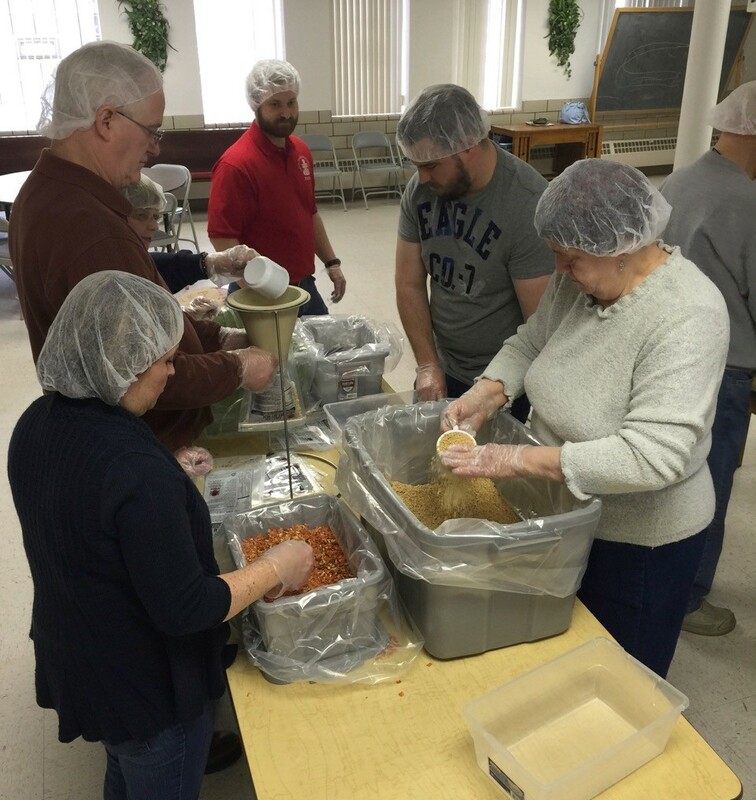 One by one, the meals made their way through the assembly process, only to be stacked, boxed, and loaded onto a truck for shipment to a warehouse here in Pennsylvania. 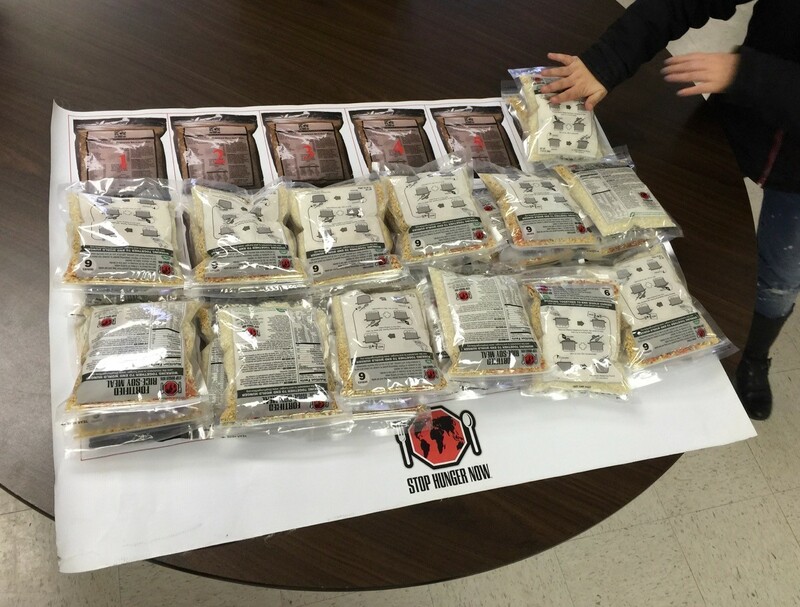 From there, the Stop Hunger Now folks will distribute the meals around the country and around the world, as needed. The 6 year old kid working alongside the 85 year old saint both jumped every time the gong was struck announcing another 1,000 meals packed. Everyone cheered with every gong. 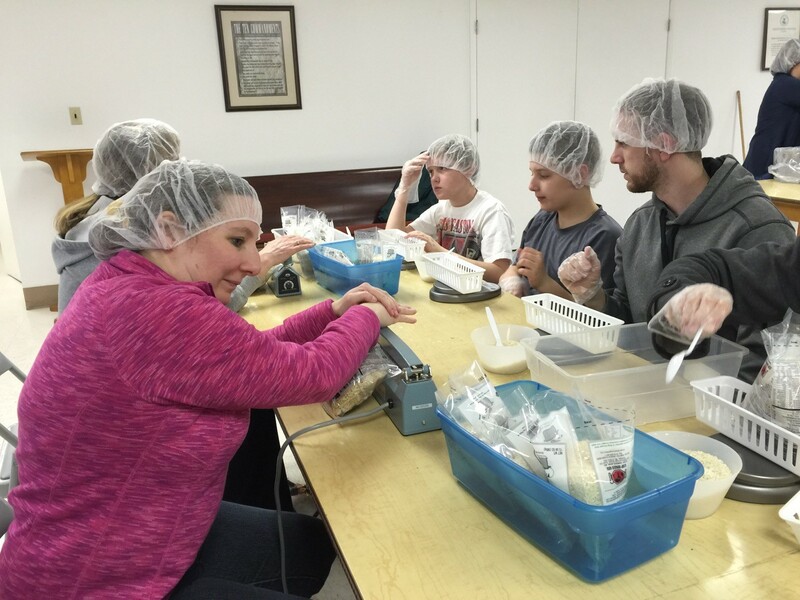 Before it was even time to break fro lunch, 10,000 meals were bagged. And at 6 servings per packet, these boil-and-eat meals will go on to nourish some 60,000 souls, as noted above. They will find their way to natural disasters and places of human struggle all around the world. 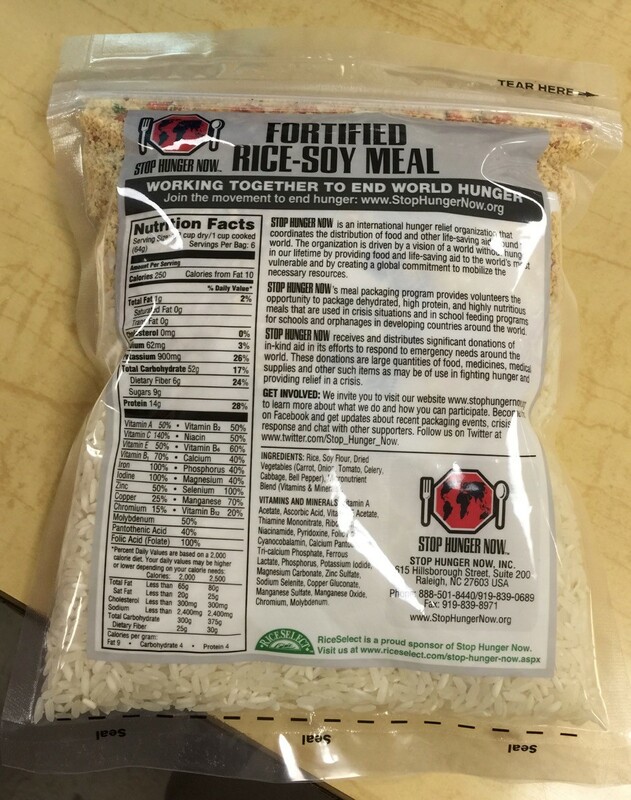 Granted, pallets of uncooked rice and empty plastic pouches may not be quite as miraculous a starting point as multiplied fish and bread, but 53 persons producing 10,000 pouches which will feed 60,000 persons at only 29 cents a meal—surely these are numbers that would please the Host of all our meals, great or small, then or now, fish or rice. 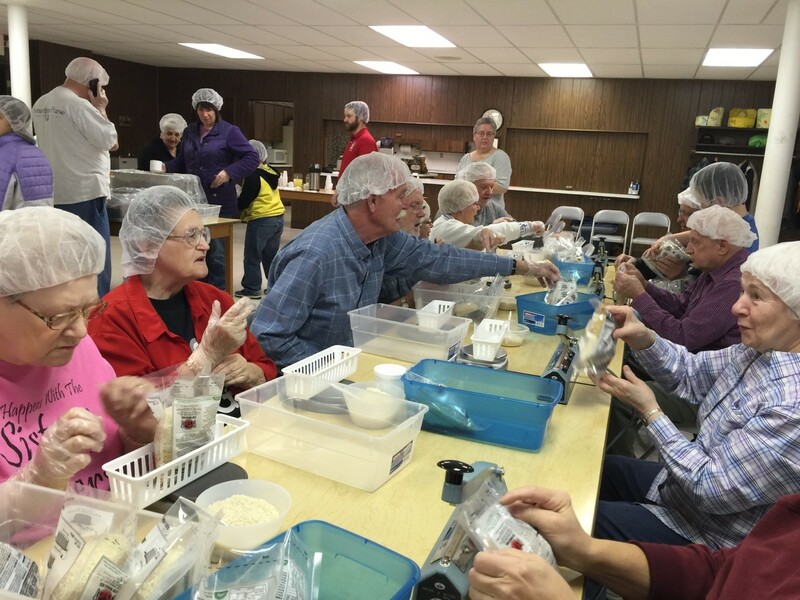 The Christians at Calvin Church sacrificed an otherwise fine Saturday morning to feed their neighbors, some of whom may well be halfway around the planet. What’s going on like this in your #neighborhood?